I wanted to tell everyone that Robin Ann Hunt passed away today. She was a regular here on Carrie fans for years. I got to know her on this site and became a good friend of mine. 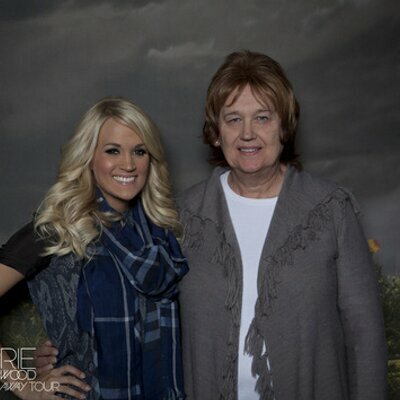 She went to many many concerts and was one of Carrie's biggest fans. I know a lot of people here knew her or talked to her on this site. She will be deeply missed. She always joked that she didn't even know you could make up a screen name so she just used her real name as her screen name RobinAnnHunt. Farawayhills, hjj, mofan and 13 others like this. oldyfan, lolita55, txacar and 1 others like this. oldyfan, lolita55, txacar and 2 others like this. So sad to hear this. She will be missed. Give her family my condolences. oldyfan, lolita55 and txacar like this. I remember Robin dearly. She was always one of my favorites to discuss all things Carrie with here on CF. I am so sad to hear of her passing. Thank you for posting this. Our paths had crossed many times (for CU related events) and she was a kind and compassionate woman. RIP Robin. I remember Robin; she was so nice. My prayers and thoughts are with her family. oldyfan, lolita55, Farawayhills and 2 others like this. lolita55, txacar and rainbow1 like this. lolita55 and txacar like this. I had wondered why she had been absent here for so long. I am sorry to see this news. I enjoyed hanging out with you guys in Nashville during CMA Fest. I still have my photo taken at the Carrie Fan Club Party. Robin is there between me & Carrie. RIP Robin, just remember this was just your Temporary Home anyway. Onward to bigger & better. rainbow1, Suellen, pklongbeach and 6 others like this. Sad her and Cary was not able to wait for the new era. RIP Robin. lolita55, txacar, rainbow1 and 1 others like this. So nice that she can be honored and raised up here. Peace and grace to her family and friends. And all of us who this affects. I remember those times as well Ron. We seemed to always bump into you even on the streets of Nashville or the convention center back in the days when Carrie would sign there. Robin introduced me to so many Carrie fans from this site. She organized a get together of Carrie fans back in 2006 in Chicago before a concert where I met her in person and we became fast concert buddy friends. I am not sure how many concerts Robin went to but it was over 50. I went with her to many of those. We took many a road trip that I will remember forever. When she moved to Washington DC a few years ago we didn't see each other much other than the FC party 2 yrs ago. When you meet someone from a message board you are skeptical as people aren't always what they seem in real life but Robin was. The person who wrote on this board was the person she was. rainbow1, liz278, Suellen and 7 others like this. Sweet condolences to her family. So sorry to hear about her passing! So sorry to hear about Robin. I never met her in person as some of you guys did, but I chatted with her here for years and on twitter. My thoughts and prayers are with her friends and family. RIP, Robin. God bless you. Prayers for all who love you!! lolita55, Suellen, Farawayhills and 9 others like this. Rip Robin, my thoughts and prayers are with her family and friends. txacar and DizzyDollyDee like this.